The so-called “Biggest Night In Music” is here, and with it we finally got a chance to see whose 2016 was the best: Adele, Beyoncé, or one of the other underdogs who never would’ve won Record Of The Year (sorry, Twenty One Pilots). Katy Perry, Metallica, Lady Gaga, Beyoncé and The Weeknd performed, and everyone got to see classic Grammy moments like Cee Lo Green’s new persona, Adele interrupting her George Michael tribute so she could get the song right, and Patton Oswalt winning for Best Comedy Album—though that happened before the ceremony started. As for the awards, Chance The Rapper won Best New Artist, Twenty One Pilots won Best Pop Duo, and David Bowie won a posthumous award for Best Rock Song—the fifth win for “Blackstar” at this year’s Grammys. Beyoncé also added to her award total with Lemonade winning Best Urban Contemporary Album shortly after she put on a predictably intense and dramatic performance. 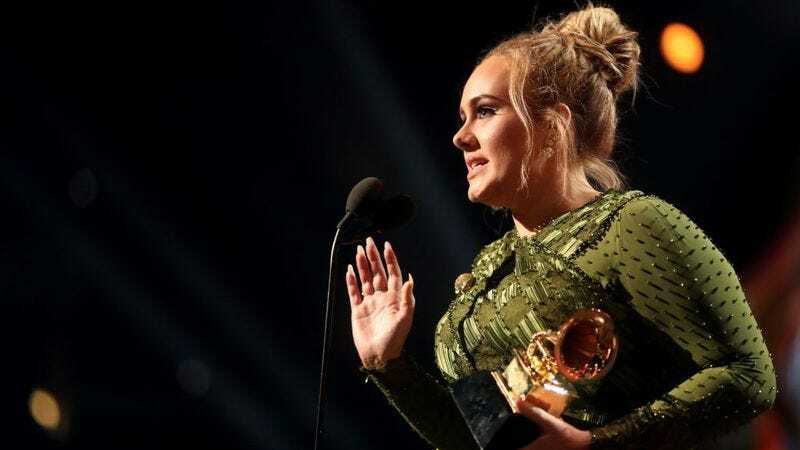 By the end, though, it became Adele’s night as she took home Song Of The Year, Record Of The Year, and Album Of The Year. You can see all of the winners below.